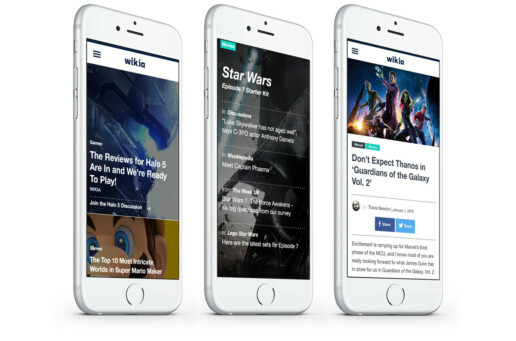 In December of 2015, Wikia launched an editorial arm focused on relevant, timely entertainment news to complement the vast range of deep, knowledge-based wiki communities containing mostly evergreen content. We took a mobile first approach and created fully responsive screens. We designed the home featured stories and article hero imagery to go full width, both to anchor the pages and create a premium feel. The sections are appointed with subtle color shifts and bold type to break the content into scannable, digestible pieces. Editorial templates were designed to account for the very largest to smallest images and to create efficiencies for editorial designers. 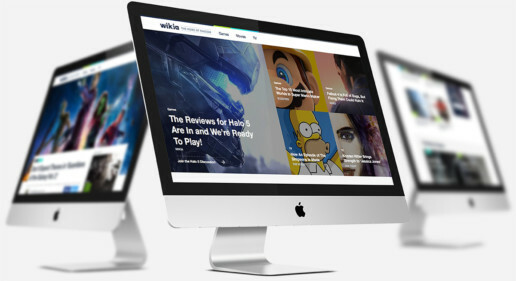 Each design element was scrutinized in both mobile and desktop environments in order to create a seamless reading experience across devices.